I say, my good man, is that the last Diet Mountain Dew? 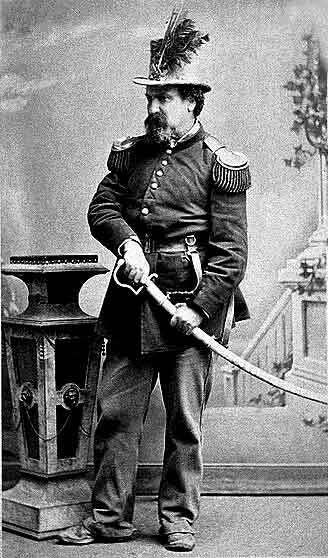 Joshua Abraham Norton. A man born in England, and who spent his early years in South Africa. He was an absolutely normal person. And that's why I'm writing about him. In 1849, he received $40,000 in an inheritance from his father. He decided to leave South Africa and see if he could turn his small fortune into a big one. So, off he went to the land of milk and honey. But, it wasn't to last. Norton tried to corner the rice market. The rice he bought was, how shall we say, crappy rice. So, long story short, he sued, won, then lost on appeal. By 1858, he had to declare bankruptcy. Norton disappeared for a while. But on September 17, 1859, he reappeared. He went around to major businesses and all the newspapers and distributed a letter. This letter declared Joshua Abraham Norton as the first Emperor of the United States, and Protector of Mexico. And the funny thing is, people let him. He wore a spectacular uniform and wandered the streets of San Francisco. The populace loved him. He spent the next 21 years penniless, but he never wanted for anything. The people of the city made sure he had meals and lodging. And, it was not soup kitchens and a cot. It was fine dining and luxury hotels. On January 8, 1880, Norton collapsed on a street corner. Although medical aid was summoned, he died before it could reach him. His funeral on January 10 was attended by 30,000 people. Not bad for a broke man with the audacity to stand out in a a city full of stand outs.